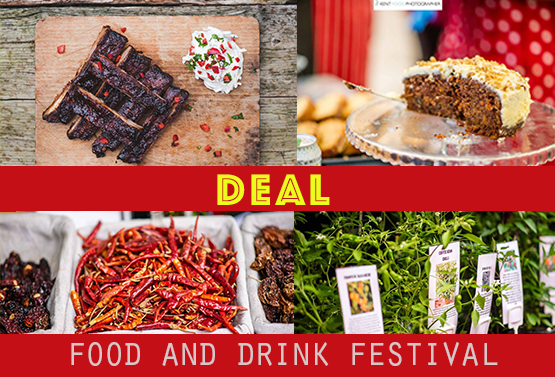 The view of Deal Castle will certainly help to create a memorable experience which together with a programme of live music, fantastic food and craft beer bar all adds up to a tasty offer. Riverford Organic Farmers Promotion of organic veg box home delivery. Stan & Milly's Artisan Fudges We hand make artisan fudges from scratch. No chemicals or artificial colours or flavours. 30 to 35 flavours. Pepes Churros Churros and Hot Chocolate. Cafe Gabriella Barista style espresso based coffee, a wide selection of tea, hot chocolate, speciality drinks (such as chai, arabic rose water espresso, caramel latte, mint hot chocolate, white hot chocolate etc) and home-made cakes.